Lake Oconee is located in Greene County, GA. This Lake has rich history that you will enjoy when boating, swimming or fishing. 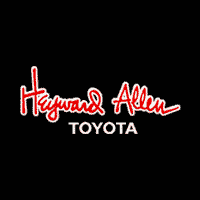 Heyward Allen Toyota appreciates history and we are one of the oldest new vehicle franchises under the same continuous family ownership in Athens. We proudly serve the Lake Oconee, Georgia community with popular models like the new Toyota Camry, Corolla, RAV4, Prius, 4Runner and Tundra. We’re positive that we have something to fit the needs and wants of every customer.